The total entry has usually consisted of approximately 60 competitors. Each car is required to have at least two seats, although in recent years only the ability to place a second seat in the cockpit has been required; the seat itself has not. No more than two doors are allowed; open cockpit cars do not require doors. Although all cars compete at the same time, there are separate classes. A prize is awarded to the winner of each class, and to the overall winner. The number of classes has varied over the years, but currently there are four. Custom-built Le Mans Prototypes (LMP) are the top two classes, LMP1 and LMP2, divided by speed, weight, and power output. From 2011, the next two classes are production-based grand tourer (GT) classes, GT Endurance Pro and GT Endurance AM. Both of these classes utilise the FIA GTE class. Although the top class is the most likely to provide the winner of the race, lower classes have won on occasion due to better reliability. The first use of what would become Le Mans Prototypes was at the 1992 24 Hours of Le Mans. In an attempt to increase the number of entrants beyond the small field of Group C competitors that the World Sportscar Championship had to offer, older Porsche 962s were allowed entry in Category 3. To further increase the size of the field, small open-cockpit race cars using production road car engines which were raced in small national championships were allowed in Category 4. Only three cars (a Debora-Alfa Romeo, a Ren-Car Peugeot and a WR-Peugeot) were entered, with all failing to run more than a few hours. An early Riley & Scott Mk III which competed in IMSA's WSC class. However at the end of 1992, the World Sportscar Championship as well as the All Japan Sports Prototype Championship collapsed, leaving the expensive Group C prototypes little competition outside of Le Mans. With Group C being phased out, the ACO chose to allow production-based race cars to enter for the first time in many years, while at the same time creating the Le Mans Prototype (LMP) class. The cars continued to use the same formula as they had in 1992, but the ACO later announced their intentions to completely replace the Group C cars with Le Mans Prototypes in 1994. Two classes were created, with LMP1s running large displacement custom-built engines that were usually turbocharged, and LMP2 using the smaller displacement production-based engines. Both classes were required to have open cockpits. At the same time, the IMSA GT Championship announced the end of their closed cockpit GTP and Lights classes, deciding as well to replace them with a single open-cockpit class of World Sports Cars equivalent to LMP1. This formula continued up to 1996, with many manufacturers embracing the LMP and WSC classes, including Ferrari, Porsche, and Mazda. In 1997, the first European series based around Le Mans Prototypes were launched, known as the International Sports Racing Series. Using classes similar to LMP1/WSC and LMP2, these cars were known as SR1 and SR2 by the FIA. 1998 saw the creation of another series of Le Mans Prototypes, with the new United States Road Racing Championship attempting to break away from the IMSA GT Championship. To differ from IMSA'S WSC class, the USRRC named their open-cockpit prototypes as Can-Am in an attempt to resurrect the sportscar championship of the 1970s. However the USRRC collapsed before the end of 1999, with the series becoming the Rolex Sports Car Series who chose to use the FIA's SR1 and SR2 formula instead. 1999 saw a great expansion for the ACO's LMP classes. Following the cancellation of the IMSA GT Championship at the end of 1998, the ACO would allow for the creation of the American Le Mans Series. 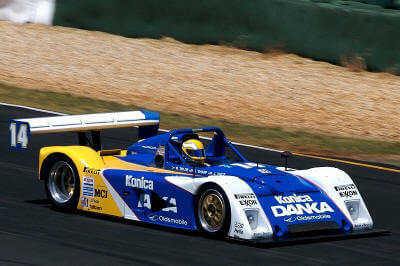 This series used the same class structure as the 24 Hours of Le Mans, meaning it was the first championship to use the LMP name. At the same time, the ACO greatly altered their LMP classes. The smaller LMP2 class were briefly eliminated, while a new class of closed-cockpit prototypes were allowed in, known as LMGTP (Le Mans Grand Touring Prototype). These cars were actually evolutions of production-based road cars that the ACO considered too advanced and too fast to fall under the GT class regulations, forcing the ACO to promote them to prototypes. 2000 saw changes to the LMP regulations, as the ACO once again split the open-cockpit LMP class. The two new classes became known as LMP900 and LMP675, with the numbers denoting the minimum weight requirements (in kilograms) for each class. LMP900s were to be more powerful and faster in top speed, but also heavier and more cumbersome. LMP675s on the other hand were to be smaller and more nimble, yet lack the top speed of their larger cousins. Both classes were intended to be able to compete for overall wins. Audi, Chrysler, Cadillac, and Panoz opted to use the LMP900 class, while MG were the only major manufacturer to attempt the LMP675 class. 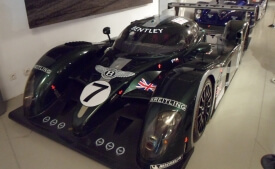 The LMGTP class also continued, with Bentley being the only manufacturer to build a closed-cockpit prototype after the regulation changes in 2000. Outside of Le Mans, the FIA SR classes would suffer from these rule changes. The SR2 class no longer aligned perfectly with the new LMP675 class, with more powerful and durable racing engines being allowed in the latter. The SR1 and LMP900 classes also did not use the same rules, although engines were mostly similar. 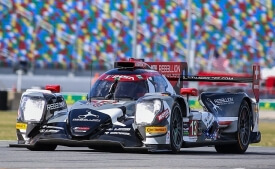 This meant that teams competing in the newly renamed FIA Sportscar Championship required modifications to their cars to be able to compete at Le Mans or in the new European Le Mans Series, a second series split from the American Le Mans Series. With FIA Sportscar Championship teams unwilling to modify their cars to run in the ELMS, that series was canceled due to lack of participants. However the demand to race at Le Mans eventually forced the FIA Sportscar Championship itself to be canceled in 2003, with most competitors choosing to comply with the ACO's regulations instead of the FIA's. With the Rolex Sports Car Series also abandoning their SR classes at the end of 2003 for their own unique Daytona Prototypes, this meant that the ACO LMPs were the only open-cockpit prototypes left. The dominant entry in the short-lived LMP675 class, the MG-Lola EX257. With the prototype classes now unified under the ACO's rules, the class structure was once again reorganized. The LMP675 class was considered a failure, due to the small engines lacking the reliability necessary to actually compete for overall wins, regardless of any advantage they had with cornering and weight. 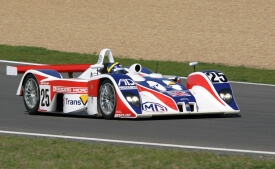 The LMGTP class was also considered redundant since the cars had only minor rule differences from LMP900s. Thus, the classes were changed to LMP1 and LMP2, with the top class once again being larger and more powerful. However the smaller LMP2 class was now intended solely for privateers, with major manufacturers encouraged to move to LMP1. This meant LMP2s were no longer meant to run for overall race wins. Since the LMGTP class was eliminated, both LMP1 and LMP2 were allowed to have either open or closed-cockpit designs. These new rules also added increased safety requirements, including larger rollover hoops and aerodynamic plates attached to the rear of the car in order to prevent prototypes from becoming airborne in accidents. The LMP1 and LMP2 classes continue to be used at the 24 Hours of Le Mans and in the newer championships that were created by the ACO: the Le Mans Series in 2004 and the Japan Le Mans Challenge in 2006. In 2004, the ACO renamed LMP900 back to LMP1, and with this they limited the rear wing to 1.9m and reduced the fuel tank capacity from 90L to 80L. This was done in an effort to promote new hybrid LMP1 cars while putting more restrictions on the aging LMP900 cars like the Audi R8. New safety measures were also brought in, and prototypes were now required to have two rollover bars instead of one. The final year that LMP900 chassis were allowed to be entered was 2006. In 2009, LMP2 restrictors were brought down from 45.5mm to 43.5mm. Until 2016, LMP2 allows both open and closed-cockpit designs (closed cars must have a windscreen, a roof, and doors on each side), while only closed-cockpit design is allowed for LMP1 as it is much faster and for safety. As of 2011, all cars must have fins on the rear bodywork to prevent them from rolling over in the air during crashes. Although a passenger seat is not used, cars must be designed to carry two people. The empty area of the cockpit is usually used to hold electronic devices and cooling equipment. Only production-based engines were allowed in LMP2 with diesel engines permitted from 2013 onwards. From 2017, in order to limit the costs, FIA will introduce a new set of regulations, which will be locked in through 2020, aiming a significant power increase, to the range of 150 horsepower (which is expected to lead to a four-second decrease in lap time at Le Mans). Gibson Technology will be the exclusive engine supplier, producing a four-litre normally-aspirated V8. Dallara, Onroak Automotive (Ligier), Oreca and the joint-venture Riley Tech/Multimatic were selected by FIA as the four exclusive chassis constructors, which must be closed-cockpit designs. The LMP3 class, the Ligier JSP3. 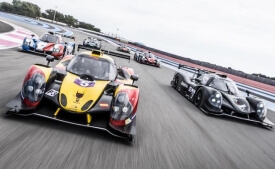 LMP3 is a low-cost class intended for introducing young drivers and new teams to endurance racing before they progress to the higher classes of prototype racing, LMP2 and ultimately LMP1. LMP3 uses closed-cockpit chassis, built by Ginetta, Onroak, Riley Technologies, Adess, Norma and Dome, powered by a 5-litre normally-aspirated V8 Nissan engine. The class is being used since 2015.